India’s Aadhaar programme, which gives unique identification numbers to every citizen, is one of the best things to have happened in the world in recent years, said author and columnist Thomas Friedman. Friedman also admired Prime Minister Narendra Modi for taking up the programme strongly even though it was conceived under the previous UPA government. 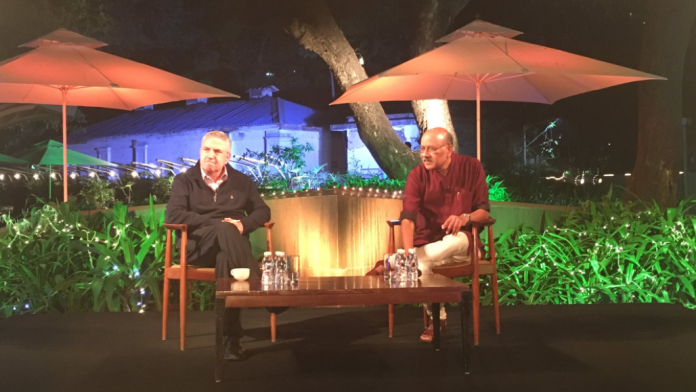 Friedman was in conversation with ThePrint’s Editor-in-Chief Shekhar Gupta at ‘Off The Cuff’ in Mumbai Friday. “It is a big deal that India has built a system that now has over a billion people with unique authentic IDs. People do not fully appreciate its power. It is going to be a great asset for India. I really have a soft spot for Modi for not throwing out something that wasn’t his idea. It was my friend Nandan Nilekani’s idea. But he kept it and pursued it,” said Friedman, who is a three-time Pulitzer Prize winner. Friedman’s comments on Aadhaar come at a time when the programme is facing flak for what its critics say is infringing on right to privacy with the Modi government mandatorily asking people to link their mobile numbers, bank accounts, tax returns, insurance policies and so on to their unique IDs. The government has also made Aadhaar a pre-requisite for a number of government services and schemes. Friedman criticised U.S. President Donald Trump for taking America out of the equation at a time when the world needs to collaborate on climate change and globalisation, slamming the leader as a “brain-eating disease”. “Today, in environmental terms, later is officially over. Later is too late. Even in Delhi, if you don’t fix the pollution problem in this window, you will have real structural damage,” the New York Times columnist said. Calling the Internet an open sewer full of untreated and unfiltered information, Friedman suggested that every school should have a class on digital civics. “Children should be taught early on how to be a citizen in the digital world and how to relate to facts on the Internet. Digital civics also means how to talk to another person on the Internet, what language to use. Just because you are anonymous it does not give you the licence to tear someone down,” Friedman said. The author who has written popular books such as ‘The world is flat’ and ‘From Beirut to Jerusalem,’ called for more discussion with Muslims to ensure Islam is not misrepresented, emphasised the importance of context in understanding the religion and said Indian Muslims perhaps have more freedom to have that discussion. He said a religion nested in pluralism and repressiveness will lead to some perverse elements. “But when you have a religion nested in an open society, though there are issues, you get a very different Islam,” Friedman added.